← Why ‘perfect’ should be a 4 letter word! 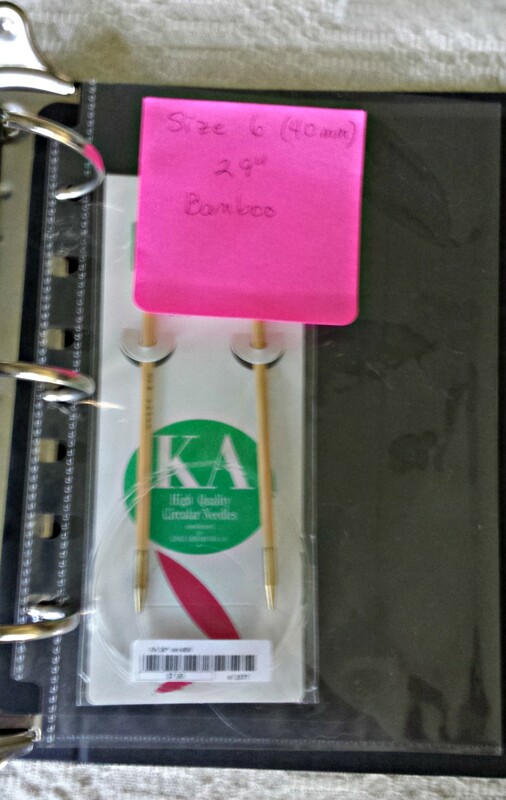 Always a problem; how to store circular knitting needles. There are different items for sale out in the internet; but they are either too expensive or not really how I want to store them. Years ago I used to use Day-Timer time management system. 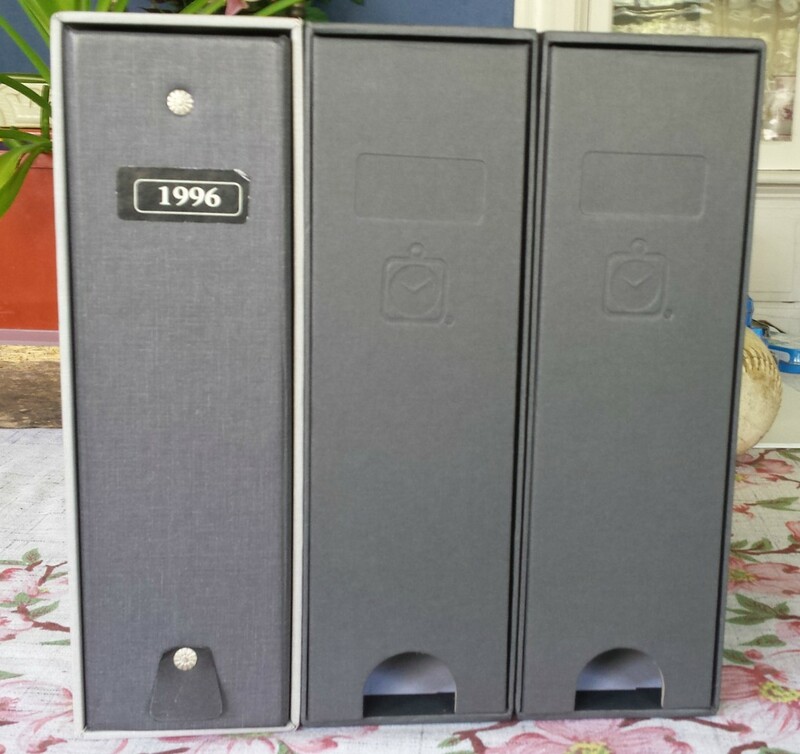 As a result I had a couple of old storage 3 ring binders and one slip case to hold one of the binders in. 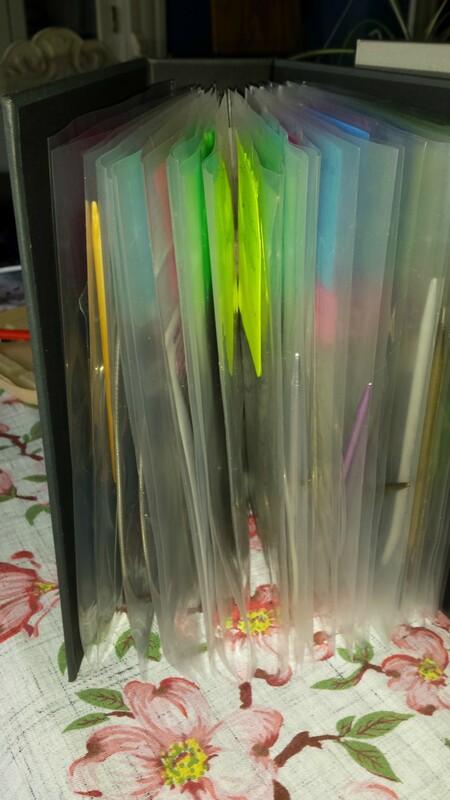 Possible that I had tossed the other slip case – maybe in one of my rare cleaning frenzies, I don’t know. Perfect, I thought! First I needed to find plastic sleeves that were 5-1/2 X 8-1/2. Staples did not disappoint. Next, I found in the label area some labels that had adhesive on the entire label, except for a small area that could be ripped off. Again, perfect! Unfortunately, when I went back to get more of those post it labels they no longer carry that size and style (I couldn’t find them on the Post-It website either, so sad). As a substitute I used a 3×3 all adhesive Post-It. 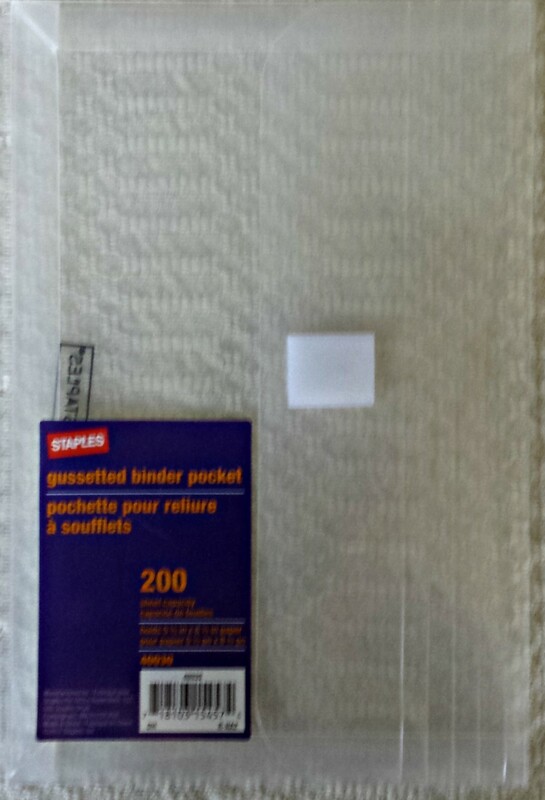 One draw back is that it has an area that does not have adhesive, and unlike the earlier version, it is not perforated so I cannot rip it off easily. I call them sleeves, but I guess Avery calls them Sheet Protectors. 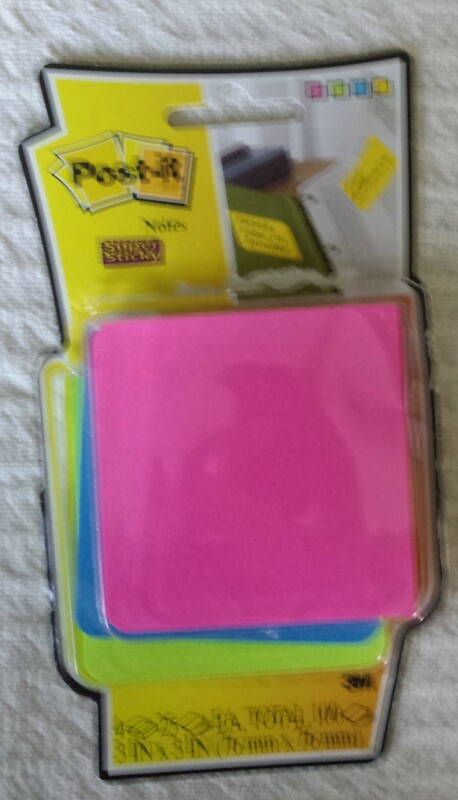 These are the 3×3 Post-It notes. Sorry about the fuzzy picture. A little pocket that fits in the 3-ring binder and has a velcro tab to close it. Because I got more needles I needed to get some new binders. I like the fact that these have a slip case. That way the needles do not slip out since the sleeves are open at the top. So I ordered some new ones from Day-Timer. In my mind, they are worth the extra expense. 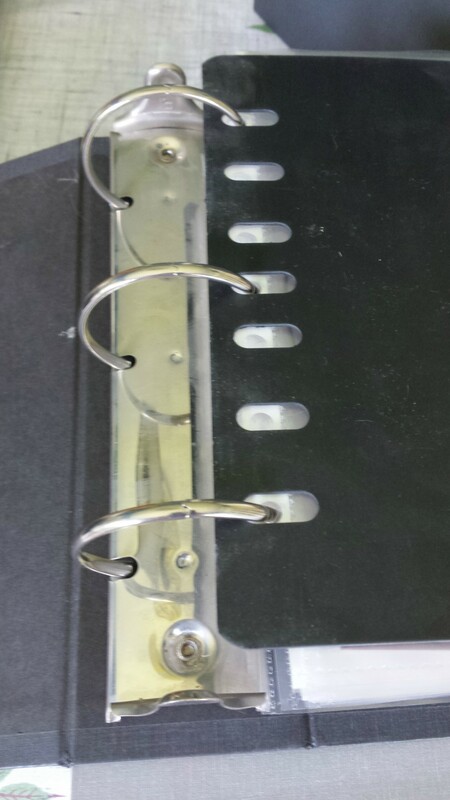 The new binders were different, instead of round rings to hold the pages, they were more rectangular, but other than that, they fit the sleeves perfectly. The slip cases were shorter too. 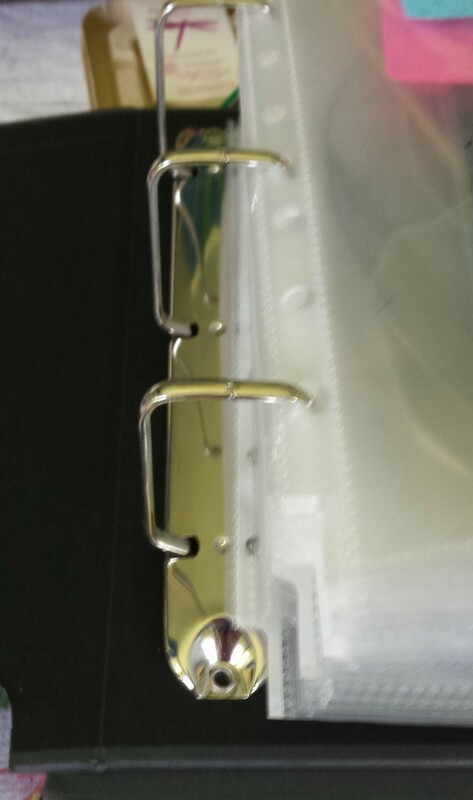 On the left is the rectangular ring in the new binder, on the right is the round ring that was in the old binder. The best part of this system is that I can always find out if I have a certain size needle or not. For example, if I need a size 3, 29″ needle, I flip through the size 3 needles. If I have a sleeve for it, then I have it. If the needle is in the sleeve, then I can use it. If the sleeve is empty, well, then it’s in use and I can decide whether or not to buy another one or to ‘borrow’ the needle from the project that is using it at the moment. I need to put labels on the binders. The one on the left is of course one of the originals (that’s how long ago I used that system). Fiber artist - knit, weave, and quilt. I am also getting back into garment sewing. I have started to dye my own yarn and I'm learning to spin. Great plan. Probably too compulsive for me! I have a rip stop wallet with about 12 slots that I use. Each envelope is about the same size as your binders. Usually I can find the sixe I want, but finding the right length is trickier. HA HA. Now I feel obsessive! 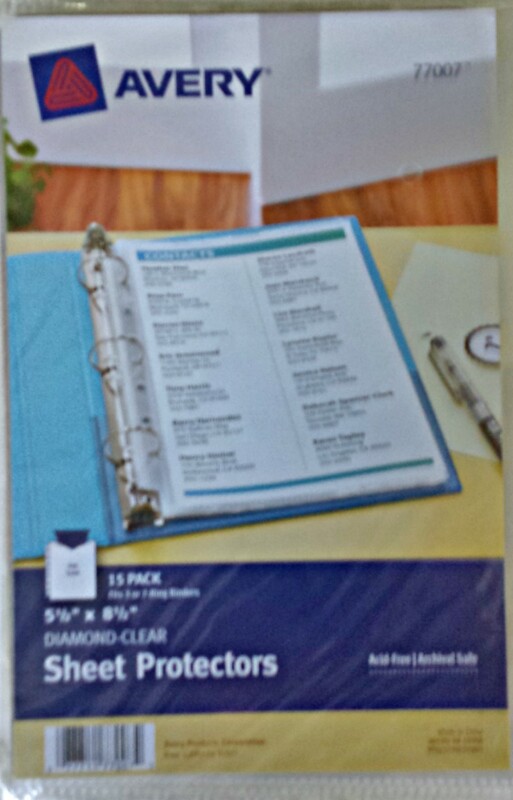 I wonder if you could put some kind of labels on the circulars to indicate the length? That’s brilliant and I think I will steal that idea from you!